This is quite of a punch for Caspian region. Lot of power in a small package... Those Buyan's should be enough for the Caspian. Mike E wrote: Lot of power in a small package... Those Buyan's should be enough for the Caspian. Buyan-M should replace all old Nanuchkas missile corvettes in all fleets. It is well armed for closer defense. They'd be willing to do that.... They only have 12 of them in service, and they could build that many Buyan-M's without a struggle. I would love to see Buyan-M armed with Pantsir for air defence, they would become formidable. redgiacomo wrote: I would love to see Buyan-M armed with Pantsir for air defence, they would become formidable. Very... It is a possibility on the models made in the years to come! they would become an interestin option for the foreign market too. Countries like Venezuela,Algeria,Vietnam,Indonesia etc. would appreciate a corvette with these characteristics. Yeah, that is about the perfect size for exporting to those countries... They aren't to expensive either. Weapons testing on the 3rd Buyan class missile corvette Veliky Ustyug. There is some really heavy reinforcement if all ships are to operate in Caspian flotilla, besides further two have been laid down but no information on where they will operate. My guess is BF or BSF. Since when is a flat tv now a sign of improvement and everything else of weapons, radars, self defense suite and integration to network is not? Plan is to give the BSF 6 hulls in total- mind you without reducing Caspian numbers in the long run. Talk of ordering some series of ships for North and Pacific Fleets as well. Apparently Zelenodogsk can look forward to plenty of orders. MOSCOW, April 10. /TASS/. The Russian Defense Ministry plans to order a batch of smaller ocean-going corvettes soon, Deputy Defense Minister Yuri Borisov has told the media on Friday. "We will now be working on and placing contracts for smaller corvettes," Borisov said. The Russian Navy’s commander, Admiral Viktor Chirkov, has said that the yet-to-be ordered ships will carry the same weapons as smaller missile ships. "They will be slightly different in terms of their sea worthiness parameters," Chirkov said. Speaking of the prospects for building missile ships he said that "as many as necessary for maintaining the nation’s defense will be available." "The development proceeds towards universal long-range missiles, capable of being used against coastal and surface targets," Chirkov said. The frame of the ninth project 21631 (Buyan-M) vessel was laid at the Zelenodolsk shipyards in Tatarstan earlier on Friday. This is the last ship in the series ordered by the Defense Ministry. Taking part in the ceremony were Deputy Defense Minister Yuri Borisov, navy’s commander, Admiral Viktor Chirkov, and Tatarstan’s Prime Minister Ildar Khalikov. Chirkov said such ships were meant for operation in warm seas. "We are yet to see where it will be based. 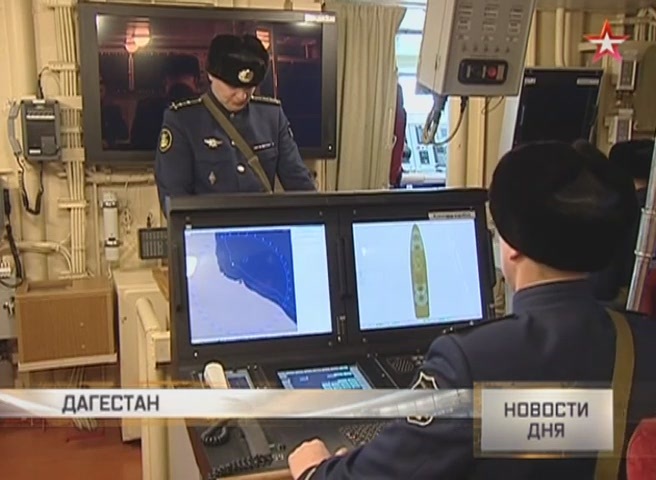 The ship’s configuration is good for coping with tasks in any theater of combat operations," Chirkov said. The ships of project 21631 (Buyan-M) are multi-purpose river-sea vessels. The universal missile complex Kalibr-NK is the main weapon on board. At the moment there are three ships of this class in service - The Grad Sviyazhsk, The Uglich and The Veliki Ustyug. All are part of the Caspian Flotilla. Two more ships - The Zelyony Dol and The Serpukhov - will be delivered to the military this year. Buyan-M is good missile corvette. They could modify it for ocean-going operations and maybe equip them with sonar and some torpedoes for anti-submarine operations and build them for Baltic, Northern and Pacific fleets for near coast operations and to replace old Nanuchkas. medo wrote: Buyan-M is good missile corvette. They could modify it for ocean-going operations and maybe equip them with sonar and some torpedoes for anti-submarine operations and build them for Baltic, Northern and Pacific fleets for near coast operations and to replace old Nanuchkas. Or if there is some extra room or maybe adjustment of the hull, they can even add in better air defense systems as well rather than just the Gibka. They could replace back Gibka and Duet with Palma complex with Sosna missiles. Article about Zelenodolsk, what they they have been up to in all sorts of details. The cheeta sounds like quite the ship. Looked it up, being almost 2,000 tons, I am wondering why not go with those? I would imagine they could make modifications to the design and replace those diagonal launch systems with a modular VLS system in its place for the Kalibr missiles and replace the anti air system with something else, like a navilized Tor or Pantsir. Incidentally, the name of the latest (9th) Buyan-M ship is GRAYVORON. It is named after a small town (population 6000 people only) in the western part of Russia. So GRAYVORON sounds like Gray-Crow.